The Retreat has Free: Wifi, secure parking, bed linen & towels, use of swimming pool & sun loungers as well as access to the covered communal area and garden area with covered swinging seats, hammocks, flowers and fruit trees. There is also a laundry room with washing machine (surcharge applies). The property is well lit & manned by CCTV as well as having secured fencing and automatic gate to the front of the property with lockable walk through access. However, we do have a resident chef who for a surcharge & at least 24hrs notice can prepare meals for your convenience. Guests will have access to the kitchen should they wish to use it as well. The property also has a 7 seater vehicle available for guests to hire & for a surcharge, airport pickup & drop off, shopping trips or organized island trips and tours can be arranged on site. 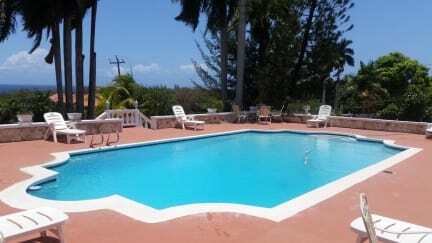 The Retreat @ A Piece of Paradise Montego Bay is located in a quiet and relaxing residential area close to shops, ATM, restaurants, amenities, beaches, entertainment and 18 hole golf course all within easy walking distance of the property. The Retreat is approximately 4 miles away from Sangster International Airport which is about 7 minutes drive by car or taxi. and is a short car ride to the famous 'Hip Strip', clubs, water park and several beaches including the popular 'Doctor Cave Beach'. The Retreat is a 4 bed mixed dorm with refrigerator, microwave, standing fan, kettle, & bathroom with hot water, toilet, sink & shower. The mixed dorm has 2 bunks with 4 twin size beds. Breakfast not included - 10.00 USD per person per day. Reception Times are flexible depending on guest arrival. Staff will have the right to enter room to turn off lights and fans if found to be left on whilst no guest is in the room. There will be a charge for keys & gate fobs which are lost or damaged.